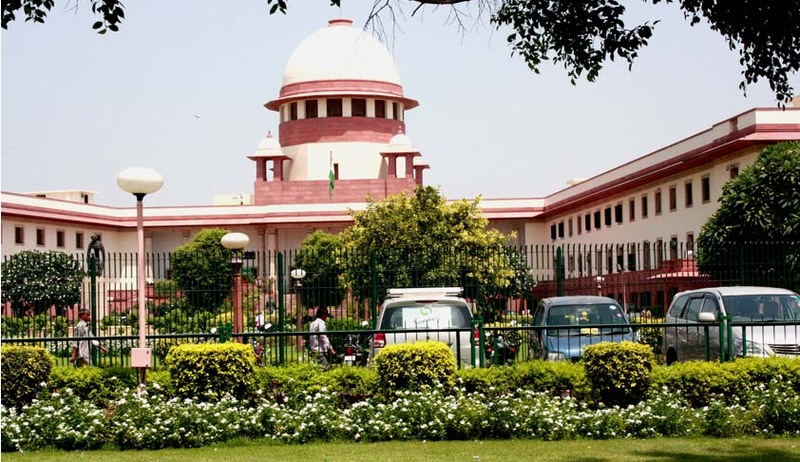 Supreme Court has ruled that the government would be justified to dispossess a person of his property if he cannot explain the legitimate source of funds to acquire it. In a civil appeal filed by Bishwanath Bhattacharya, who was detained under COFEPOSA for his illegal activities in foreign exchange in 1977, a bench of Justices H L Gokhale and J Chelameswar held that the property of a person can be forfeited if he fails to show the legitimate source of acquiring it. Later he was served a notice under Smugglers and Foreign Exchange Manipulators (Forfeiture of Property) Act 1976 to explain the source of money to acquire two properties in Salt Lake area of Kolkata and the investment in Bijaya Publishing House. The bench was dealing with the issue that whether a person, who had been acquitted from the charge of acquiring illegal money, could be punished again by depriving him of the property that was bought using that unaccounted money under SAFEMA. "If a subject acquires property by means which are not legally approved, sovereign would be perfectly justified to deprive such persons of the enjoyment of such ill-gotten wealth. There is public interest in ensuring that persons who cannot establish that they have legitimate sources to acquire the assets held by them do not enjoy such wealth. Such a deprivation, in our opinion, would certainly be consistent with the requirement of Article 300 A and 14 of the Constitution which prevent the State from arbitrarily depriving a subject of his property” Court said. Court further observed that the conviction or preventive detention contemplated under Section 2 is not the basis or cause of the confiscation but the factual basis for a rebuttable presumption to enable the state to initiate proceedings to examine whether the properties held by such persons are illegally acquired properties. The bench differentiated between the civil nature of forfeiture prescribed under SAFEMA from the criminal case for acquiring illegal wealth or money and said it could not be treated as double jeopardy, banned under Article 20 of the Constitution which bars prosecution of a person more than once for the same offence. The bench said non-conviction based asset forfeiture model, also known as Civil Forfeiture Legislation, had gained currency in the US, Italy, Ireland, South Africa, the UK, Australia and certain provinces of Canada. "Even in the case of persons who involved in illegal activities, the Act does not mandate an enquiry against all the assets of such persons. An enquiry is limited to such assets which the competent authority believes that they are beyond the financial ability of the holder having regard to his known and legitimate sources of income, earnings etc. Connection with the conviction is too remote and, therefore, in our opinion, would not be hit by the prohibition contained under Article 20 of the Constitution." Court said. Supreme Court has upheld the order of authorities for the forfeiture of these two alleged properties and investment in the publishing house and dismissed the appeal.